There is no one single version of my authentic online social self. For my immediate public thoughts, I use Twitter. I’m speaking to my followers in the moment, addressing the global town square. For personal, perhaps off-color remarks, I’ll go to Path. I’m only friends with a handful of people on there, most of whom get my sense of humor. And then there’s Facebook, where I go to recount certain personal experiences — but not all of them — to my friends, mostly those people I know in real life. Which is part of why on Wednesday, Facebook will begin to introduce a set of small but significant privacy changes across the site, a part of a broader industry-wide battle for user attention and sharing. This is Facebook’s persistent problem, it’s Achilles’ heel. 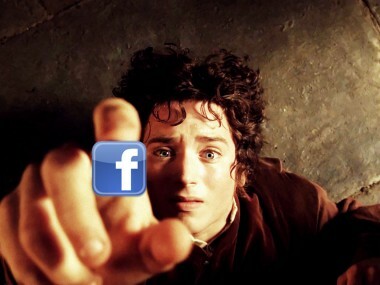 It is not the social network to end all social networks. It, along with the others, is compartmentalized, relegated to a specific type of sharing for specific people. And it kills Facebook that this is the case. The crux of this problem isn’t that Facebook can’t fulfill sharing across all these different contexts. It’s because users aren’t able to control what they’re sharing easily enough, and more importantly with whom they’re sharing it. In other words, the fewer “Oh God, what embarrassing photo did I just share?” moments we all have, the better. Some of these updates attack this type of problem directly. Facebook will add a small “privacy shortcuts” tab to the top right-hand corner of your page. It’s a toolbar that lets you manage who can see what you’re posting and who can contact you, along with a link to a full sub-directory of privacy settings. It’s faster access to features that were already there — just buried beneath a host of other menus. Other updates are smaller in scope, yet tackle the broader issue of sharing transparency. Now, Facebook will pop up two permissions requests when you connect third-party apps — a “read” permissions box, which lets the app access your Facebook data, and a “write” box, which lets you choose whether you’ll let the app publish activity to your Timeline. Before, those two options were collapsed into one pop-up, potentially leading to some user confusion. Notes will appear to users who hide posts from their timelines, explaining where else on the site these items may appear. A new takedown request tool lets you ask friends to remove posts and photos that you may have been tagged in. And then there’s the update that will bring some hand-wringing. Facebook is eliminating the option that allows users to choose who can look up their timeline across the site, effectively letting anyone on Facebook find your front page through a name search. Some people may immediately shout “privacy invasion!” here. And perhaps it is Facebook casting aside some veil of user obscurity. But that’s missing the point. Yes, your timeline will be searchable. But Facebook has made it clear it wants to be the definitive online identity site — not LinkedIn, not Google, not Twitter. And for a directory of identities to truly work, everyone must have a listing. Your timeline is your listing. But Facebook’s rationale here is this: A listing is only as public-facing as the information it displays. If you can better control what shows up in the listing, it won’t matter as much that this listing is there in the first place. And again, better control will cut down on the “surprise” issues Facebook wants to avoid. And this, my friends, is the point. If we can feel at ease and in control of what we’re sharing and with whom, there’s less need for the Paths, the Google+’s, even the Twitters of the world. Expect to see the changes appear before the end of the year. You can’t miss ’em. Facebook will plaster site-wide banners at the top of the News Feed informing everyone about the new features. Just like Facebook said: No surprises is a good thing.